Birthday Celebration : @ Enthiran Shooting in Pune. Events outside Chennai : Rajini Involving himself on civic activities like planting of trees, cleaning of roads, etc & welfare activities like blood donation camps. Chennai Events : Rajini’s Arunachala Inn situated in Kodambakkam Reopened Today. News : All Over Tamil Nadu , we could see our Rajini’s Fans were enjoying Thalaivar’s Birthday. Poster : Wall Poster Found on the Road, says bye bye to Film Career and Walk Inn to Indian Politics by 2010. Tamil News Papers : Birthday wishes to our Dear Rajini. 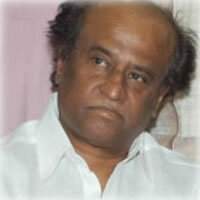 Web Portals : Birthday Blast pictures of Rajini Sir & Birthday Plans. Overall : A Man Behind simplicity, is celebrating his Birthday Simply & Professionally. Expected Release of Revamped Site : Final works were underprocess to complete the Work by Today Night for sure. Join Enthiran Group : SMS Join<space>Enthiran to 9566295662. Send Free Sms Wishes : Sms G<space>Enthiran<space>Your Wishes/Messages to 9566295662.
there is always a shortage of words to describe his simplicity…. I want Rajini to act his last film with kamal Hasan. 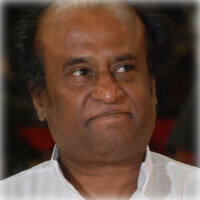 Rajiniji is only one Wisdom,Spiritual,Inspiration,Innovation and Powerful Eye action Man in the world. Long live Long years.